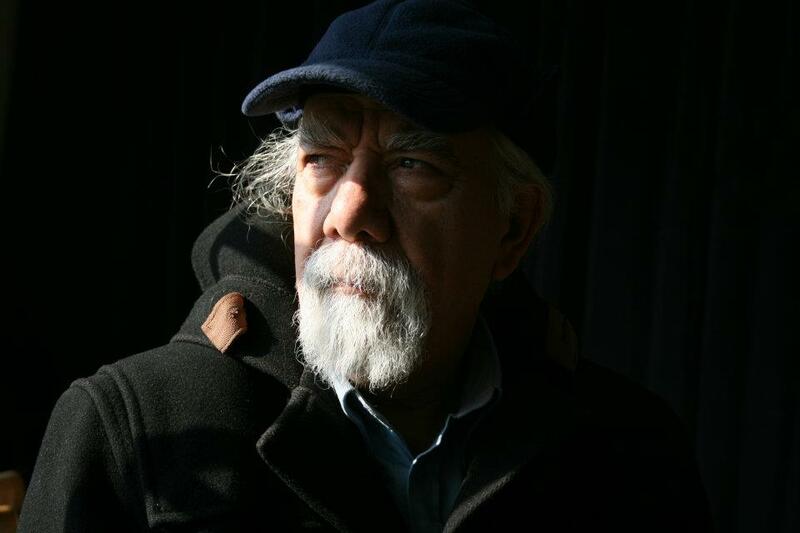 A recognized master of the vocal radif repertoire of Persian art music, Maestro Nasrollah Nassehpour, was born in Ardebil, Iran, 1940. 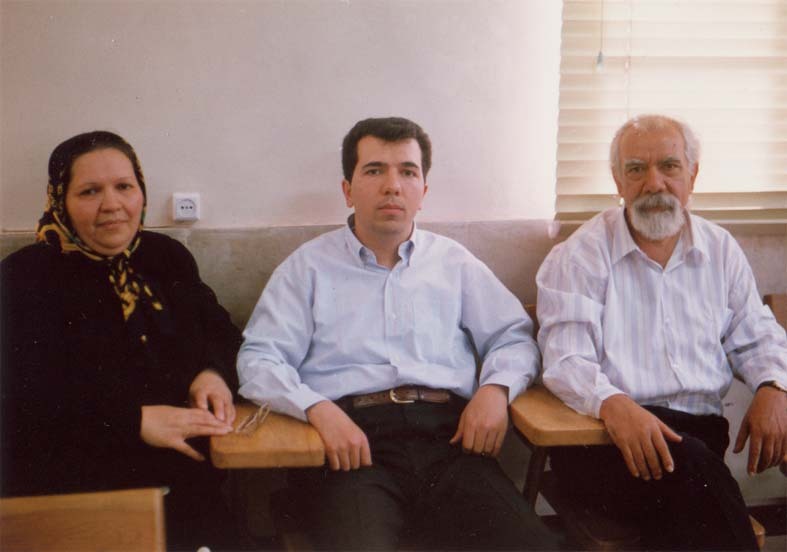 Since his father, the late Agha Shakour, was garman (Azerbaijani organ similar to European accordion) player and his mother, the late Huriyeh Khanum was Azeri dayereh (also known as ghaval, Azerbaijani frame drum) player, he was acquainted with Azerbaijani music through his childhood. 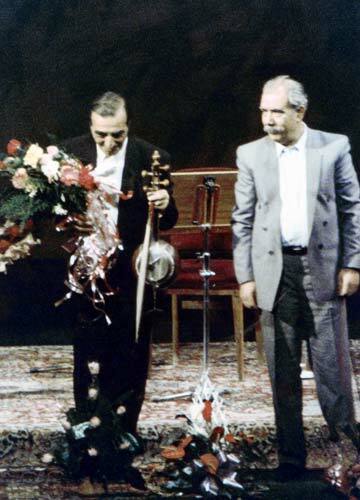 When he moved to Tehran, he studied vocal radif with the late Maestro Mahmoud Karimi for many years. 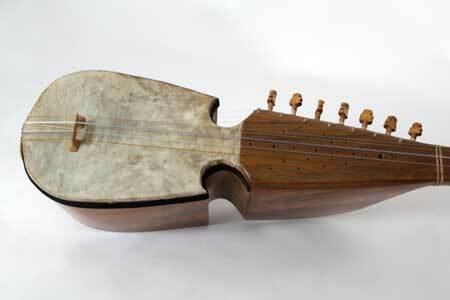 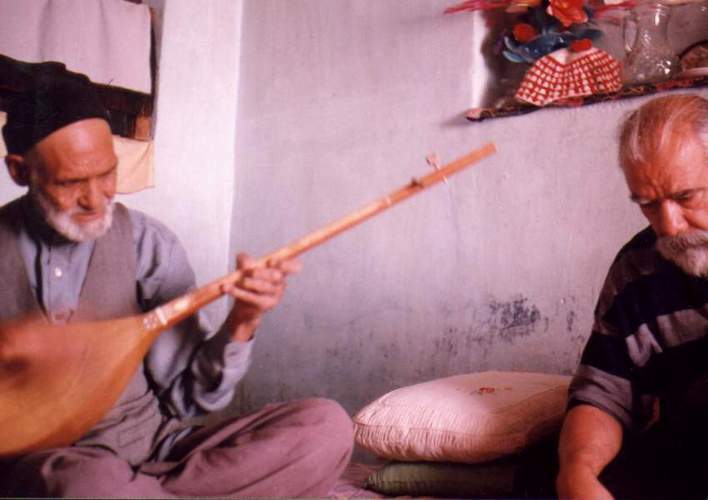 He also studied instrumental radif repertoire of Persian art music at the National Music Institute with the late Maestro Ali Akbar Khan Shahnazi (a very skillful tar player). 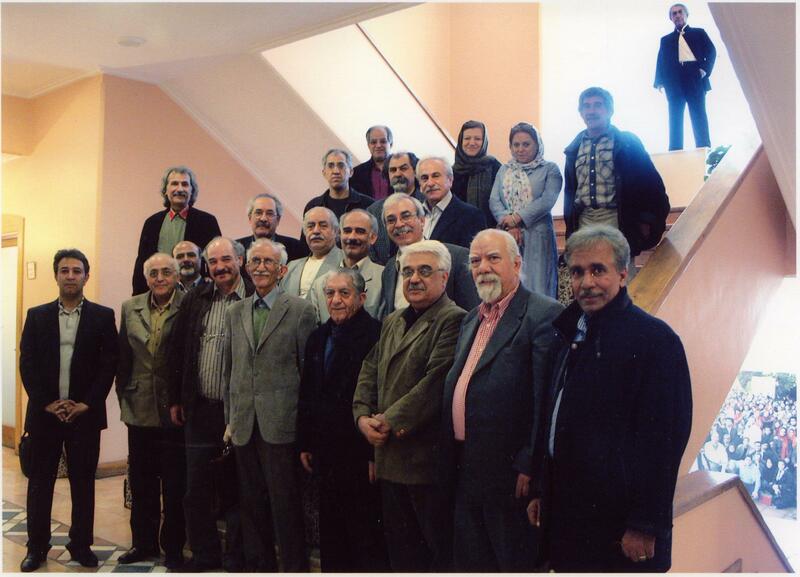 In the class of the late Maestro Soleiman Amir Ghasemi (vocalist), he got in touch with the late Maestro Saeed Hormozi (a very skillful setar player) and he learned many important points of Persian art music. 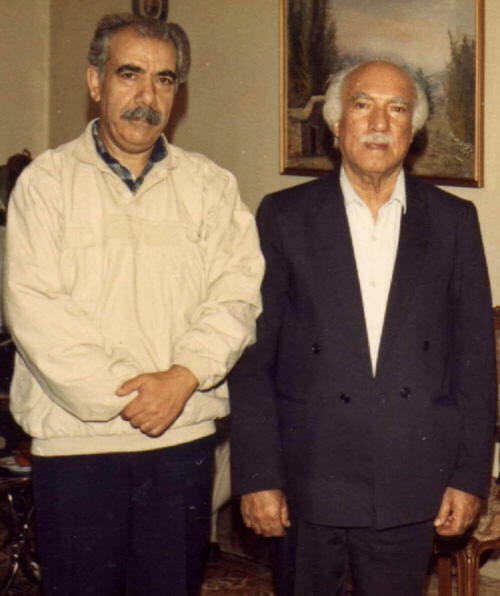 At last he worked with the great master of vocal radif repertoire, the late Maestro Abdollah Davami, who had a great influence on his musical development. 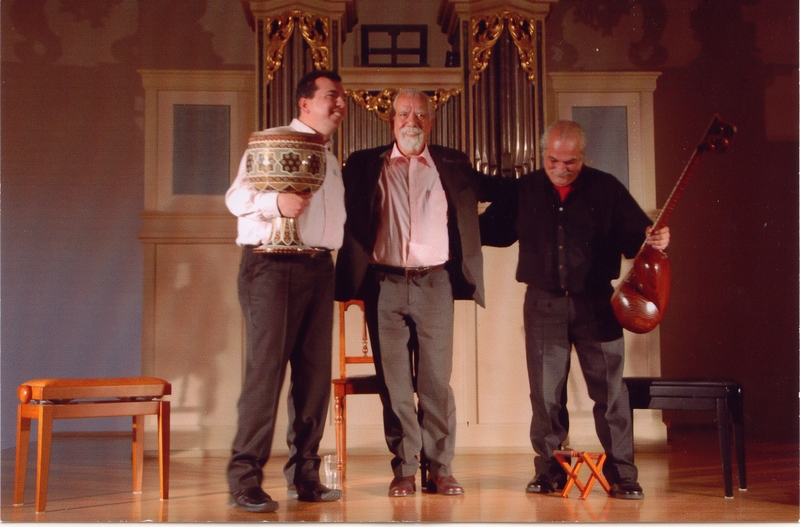 The unique timbre of Ostad Nasehpour's vocal, which has coupled with his creative talent and rich Azerbaijani musical background, makes him an outstanding performer. 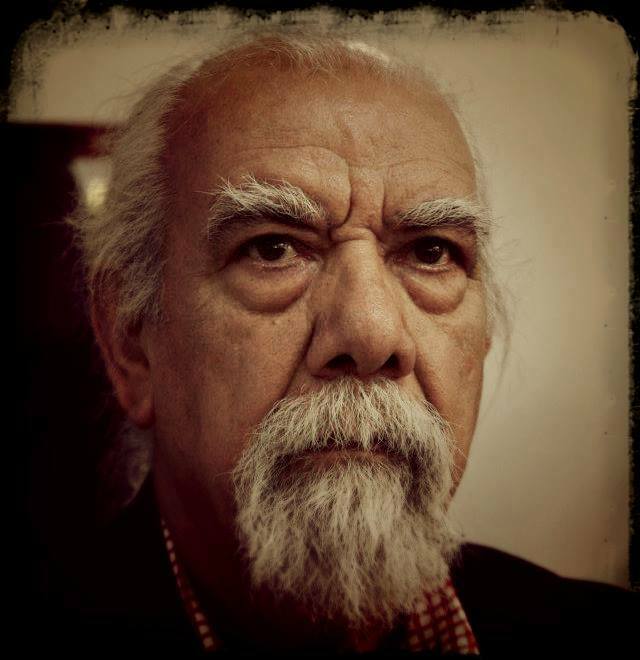 He has researched, taught and performed about 50 years and has nearly trained 4000 students. 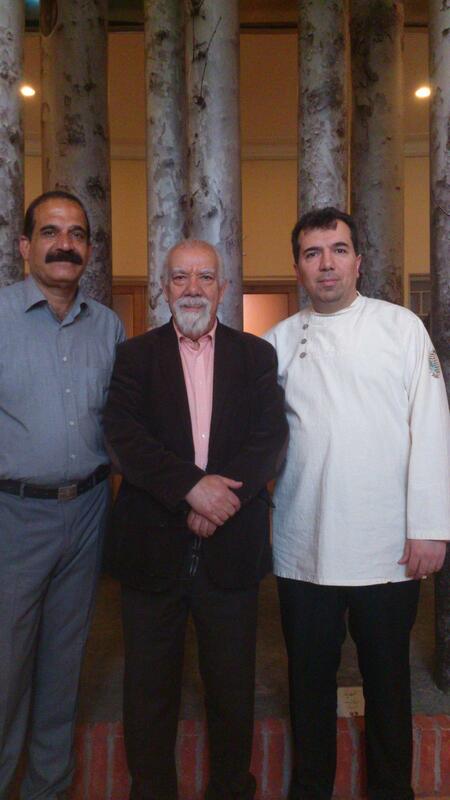 Some of those students are famous vocalists in Iran and abroad. 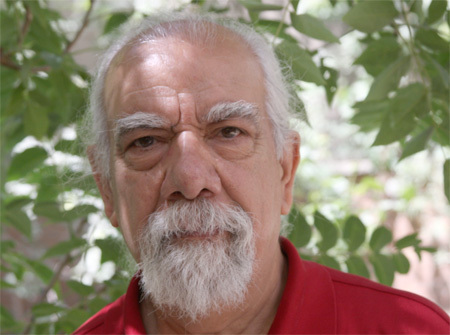 Recently as a member of the chief committee board for the biggest Iranian NGO of music, i.e., Iran House of Music, he has been socially very active in defending the rights of musicians and also promoting Persian classical music. 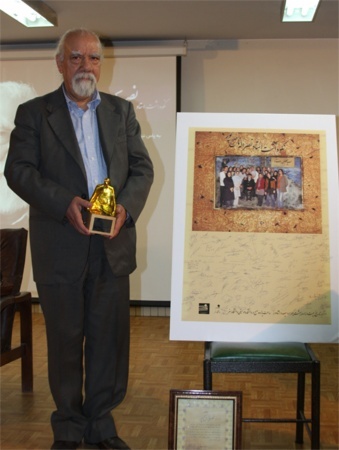 As a professor of the Art University of Tehran, his books on old theoretical music of Persia have been published published by Iranian Academy of the Arts Publication. 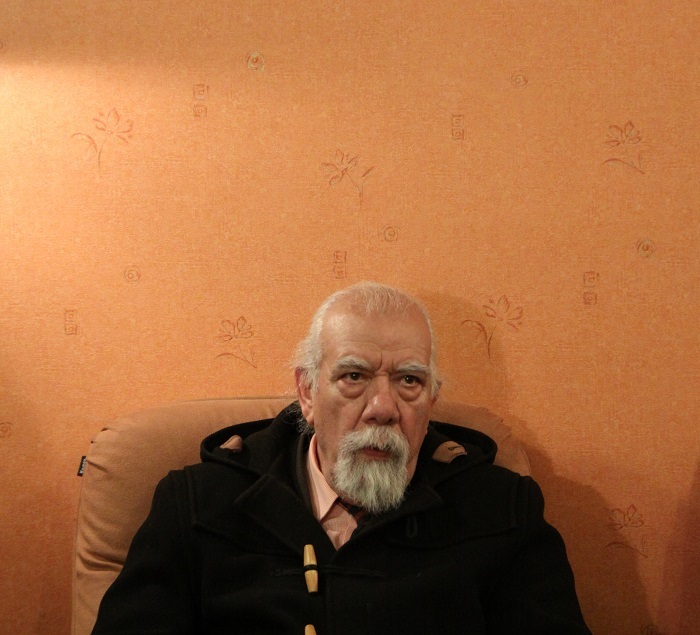 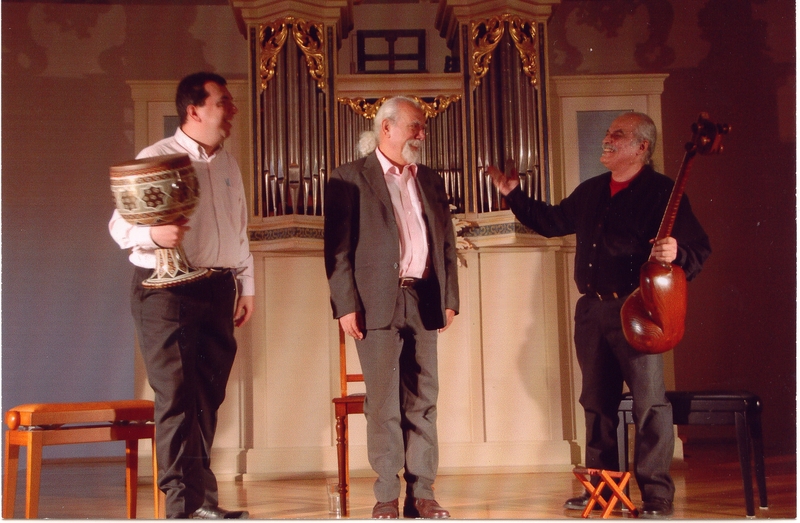 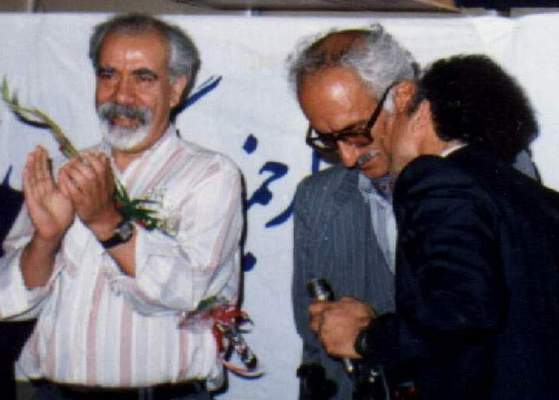 A Note by Dr. Nasehpour: On May 7th, 2015, my father, Ostad Nasrollah Nasehpour and Ostad Dariush Talai gave speeches and performed for the respect ceremonies for Ostad Abdollah Davami, held in Tafresh, where Ostad Abdollah Davami was born. 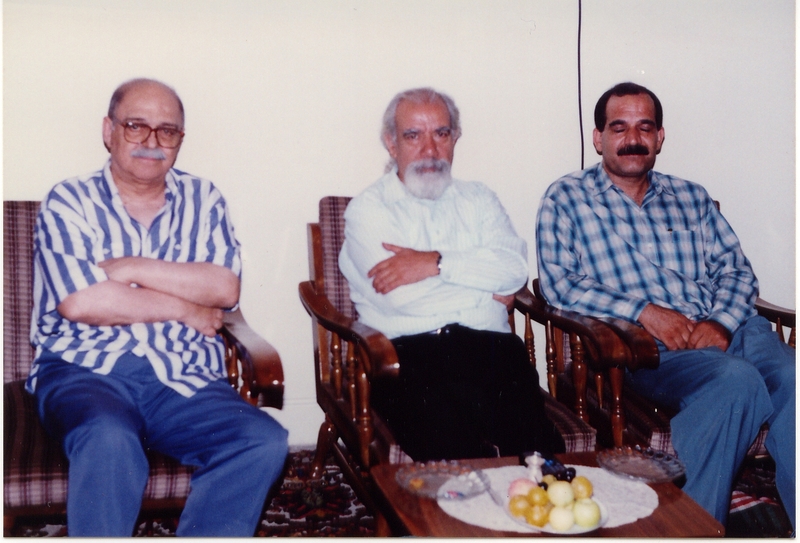 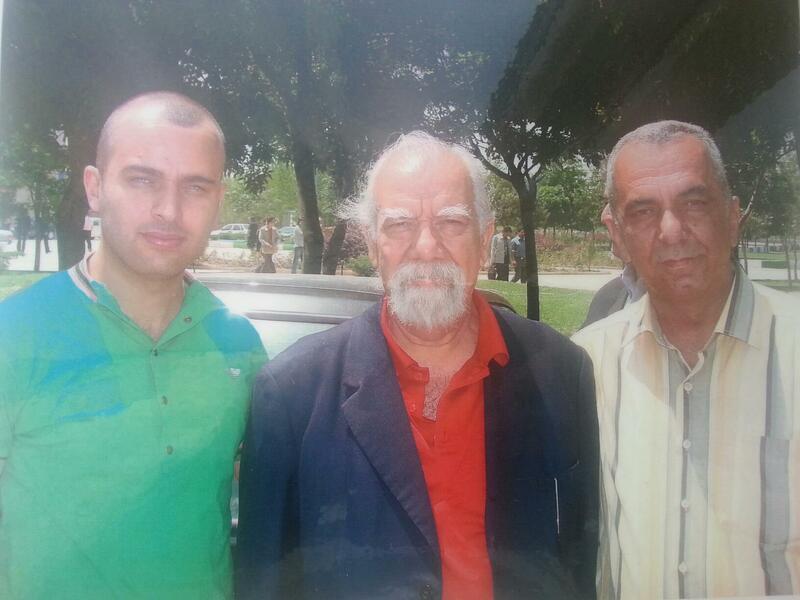 In this picture taken long time ago, you see Ostad Nasrollah Nasehpour (left) and Ostad Abdollah Davami. 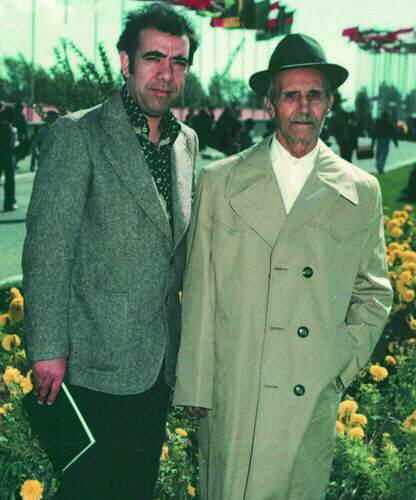 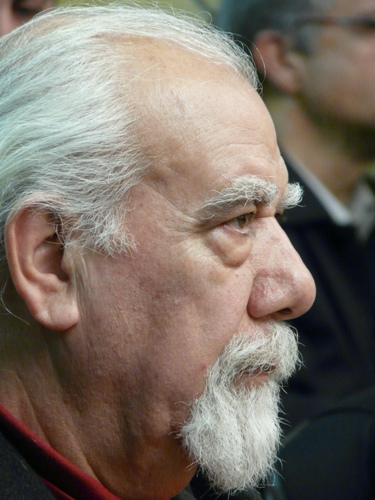 For more on Ostad Davami, click on this picture.